Queens Belfast University is located in Belfast on the estuary of the river Lagan close to the north east coast of Ireland. With a central population of 286,000, Belfast is the capital city of Northern Ireland and part of the United Kingdom. Belfast is served by the George Best Belfast City Airport 2 miles from the city centre and easily accessible by express airport bus. From here domestic flights to most UK cities are available as well as a range of European cities with international connections worldwide. Ferry, bus and train connections are available from Belfast to the UK mainland. Founded by Queen Victoria in 1845, Queens Belfast University was opened in 1849. From the outset it was designed as a non-denominational alternative to Trinity College Dublin which was controlled by the Anglican Church. Queens Belfast University was the first chartered university in Northern Ireland. Originally renowned for law and medicine, Queens Belfast University has developed a reputation in recent years for pharmacy, education and commerce. Queens Belfast University advertises itself as a campus university although the main campus itself is spread out over a number of public streets within three designated conservation areas. 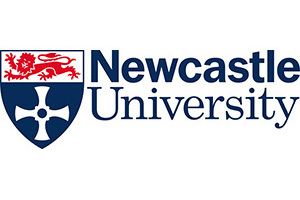 The campus is a 15 minute walk from the city centre and is well served by a regular bus service. Most teaching is carried out on the main campus. In addition there are two further associated university colleges – St Marys, and Stranthelis – also located in Belfast. These are primarily for those wishing to enter the teaching profession. Queens Belfast is ranked between 201-250 in the Times Higher Education rankings and is ranked between 301-400 in the Shanghai Jaio Tong rankings. 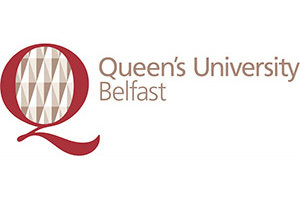 Queens Belfast is not a member of the Russell group of universities. Queens university Belfast is ranked =83rd in the National Student Survey Satisfaction rankings. There are currently 1400 international students from 100 countries studying at Queens Belfast University representing approximately 6% of all students. Pathway entry for international students-INTO’s Study Centre at Queens, offers foundation courses leading to degree course entry. Recent figures indicate that Queens Belfast University currently comprises 24070 students of which 17867 are undergraduates and 6203 are post graduates. HESA government statistics show that 93.8% of Queen’s graduates are in employment or in further education 6 months after graduation. However, a breakdown of post-graduation employment by course, showing the split into professional/managerial positions, rather than general employment figures, is available from Unistats an independent source of university data. For more information, please visit the REF Information page. The main university campus is situated in the centre of Belfast within walking distance of shopping areas, cafes, restaurants, Belfast Botanic Gardens, the Ulster Museum, the Grand Opera House and the Lyric Theatre. Queens Belfast University offers 150 sporting and non-sporting clubs and societies. The Queens Belfast Centre for Physical Education is one of the largest in the UK. The University hosts the annual Belfast Festival and the Belfast Film Festival, with many events taking place in its own Brian Friel Theatre. The University also boasts a boathouse and its own art gallery – the Naughton Gallery at Queens. Since many students in Northern Ireland choose to live at home and commute, students coming from outside Northern Ireland are guaranteed a room in university owned accommodation. Contracts are normally for 38 weeks but other contract lengths are available for postgraduates. Most university owned accommodation is situated in Elms Village – a purpose built collection of residences offering self-catered accommodation with single occupancy rooms in 3-4 room apartments with communal living areas and shared kitchen facilities. Willow Walk which is part of Elms Village, is a recent development designed for international students (who may wish to accommodate visitors) and for postgraduate students. College Gardens is a collection of town houses located opposite the main Queens Belfast buildings. These have been adapted to house 10 students in single rooms with a shared kitchen, bathrooms and communal areas. The lowest price for a single room with shared bathroom and kitchen facilities is £77.00 per week. Queens Belfast University currently offers postgraduate online courses in pharmacology subjects such as a PGCert/PGDip/MSc in Clinical Pharmacy, or a PGDip/MSc in Advanced Pharmacy Practice.